Hi Moreno, Thank you for finding the time to speak with us! When did you start to make music, and how did you move to the psychedelic sound? I started playing music at a very young age, lots of singing (folk songs) and messing around with percussion, pianos and guitars, but only at the age of 18 did it really click for me to seriously play bass guitar and start to play with bands. Sound is psychedelic, I never moved to a psychedelic sound, I was always into it (Sound). 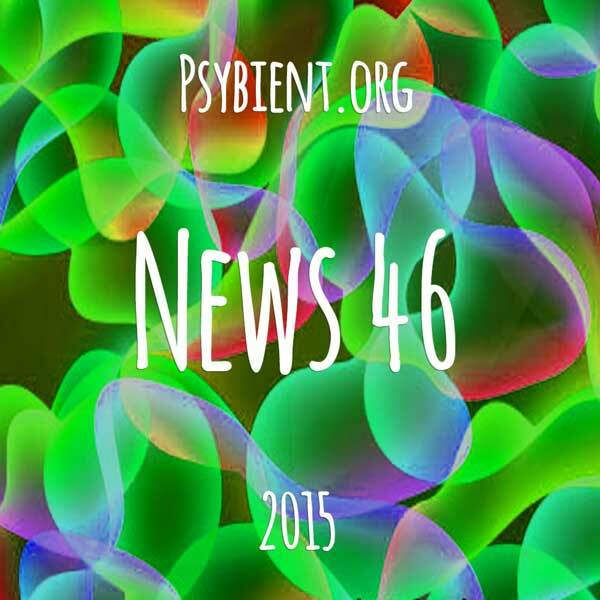 What is the latest news for Master Margherita? 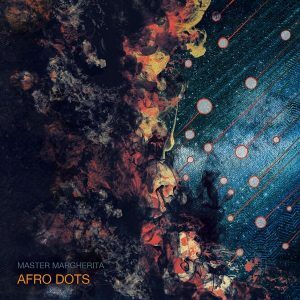 I am now working on the final details for my new solo album ‘Afro Dots’, to be released on Blue Hour Sounds the 21st March 2015. A 22 track double CD that features a great variety of sounds and textures. Has your motivation changed or evolved into something different? My motivation gets stronger every day by never stopping to create music and playing around the world. Evolution is a natural process. I never stop improving upon my technique to be able to compose beautiful sounds. Do you have other projects going on that you would like to share? Kukan Dub Lagan for the project ‘Kukangherita Sound System’, a mix of dub and more urban beats. An album should be ready by the end of 2015. KaleidoAct Show’ – composing the music for the new 2014/2015 show. ‘Awakening Session’ – composing new meditative music for healing sessions and more quiet moods. You play both psytrance and psychill. Do you think these two genres are strongly connected? When was your last psytrance DJ set? Do you like mixing psytrance? How different is mixing trance compared to mixing downtempo? This is my last psytrance set online http://mastermargherita.info/revolution-festival-2014/ , recorded in Brazil on the 12th October 2014. The techniques and strategies for mixing a set changes with the music I wish to play, my mood and the crowd who I play for. It is quite hard to explain in a few words. Sometimes your mood changes the approach to a set, how you mix it and how you flow into it. All this, of course, is linked to the crowd and feeds back and forth endlessly. The more I play minimalistic pieces, the more my mix will be progressive and flowing. The more I play ‘dense’ pieces, the more I go for a ‘cut’ technique without mixing up the tracks together too much. How do you like making people dance to psytrance compared to your downtempo sets? I like both the same, there is no difference for me. 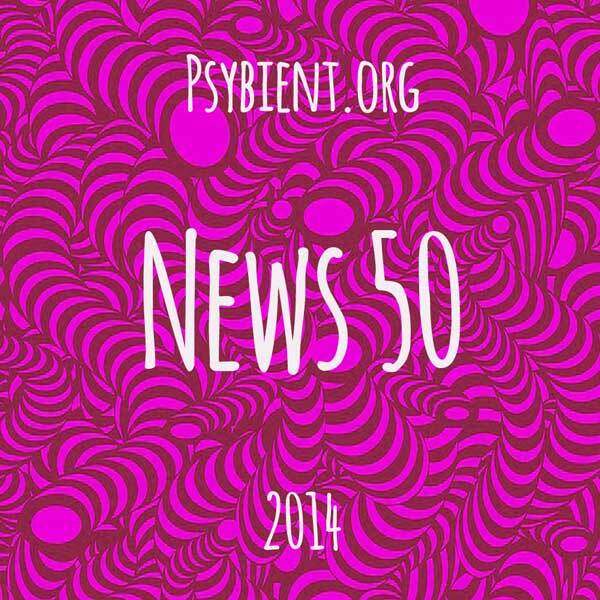 Do you produce Psychedelic Dance Music? How different is your feeling when you are composing mainstage oriented sound? I feel always in the same space when I compose music, I don’t feel different because I am working on a piece that is more into the dance action than the meditative sound. These boundaries do not really exist, the same combination of sounds and rythms can give to every one of us a very different feeling. Music for the mainstage needs a good level of energy, what ever you do/compose all goes into keeping the energy up as much as you like/wish. Hopefully this would work for other people, dancing on the main dance floor. 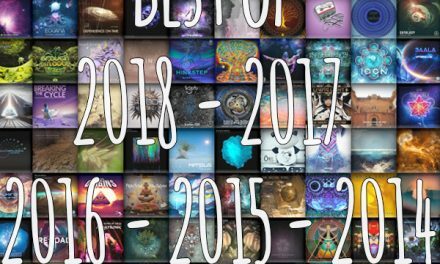 What do you think about the evolution of psytrance music in the last 10 years? 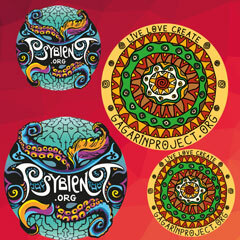 How do you see the future of psytrance ? 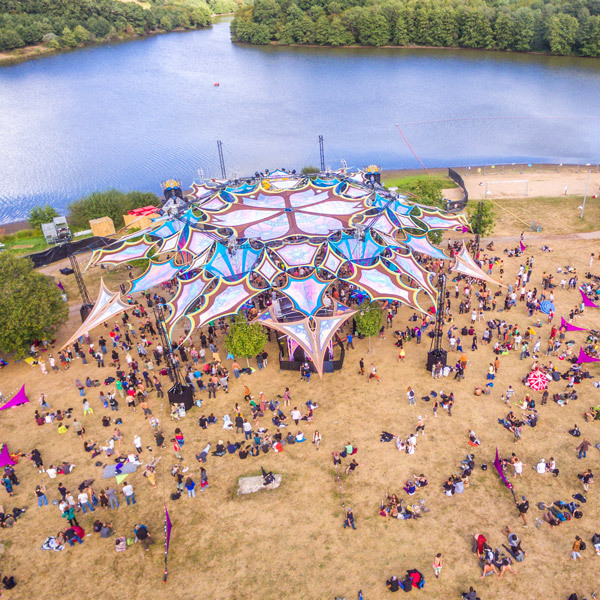 First of all, it is not only about psytrance or goa music anymore – finally now the scene has re-connected with any kind of sounds that can trigger good experiences in the entheogenic mode. 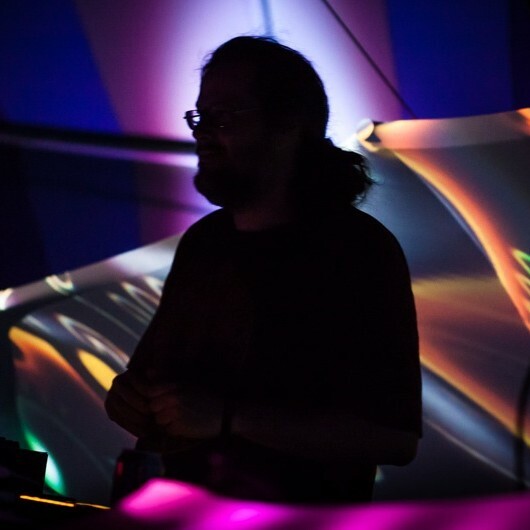 The psychedelic scene has evolved a lot for the better since I started playing around 1998. The party goers are more tolerant and open minded, they want more variety of sounds, more quality. I remember a time when people did not like this style or that style and they were ‘fighting’ about it. I believe this is not the case any more. A young person who comes into contact with the psychedelic scene nowadays listens to all kinds of sounds, from Dark to Light, from Fluffy to Hard, Slow or Fast …. Let’s talk a little bit about music festivals. What are the festivals that are putting a big effort into providing a space and the right conditions for downtempo music? What about indoor events, did you experience good indoor chill events? Any big city in Europe have good locations with chill music, most of them active aside from the psychedelic scene, venues connected more with Art Schools, Dance, Theater or Alternative Cultural Centers. I played some awesome locations in ambient mode with bands and sound systems : castles, churches, big old houses, an underground brewery in Berlin, inside a gigantic fridge in Bologna (Cacubo). Would you please list some of the important moments in your music biography ? 1989 The release of my first album (in vinyl) with the band Changes. 1992 Arrival at the Jazz School EJMA in Lausanne/Switzerland. 1995 Creation of the trio ‘Chestbusters’, my first live project in ambient & dub techno, that led me to play at Goa parties. 1996 I started composing/producing music with machines & electronic devices under the name of Master Margherita. 1998 Founded the label Casalinga Production, my very own label entity. 2001 Winning a prize for the movie “Xieme” at the Locarno Film Festival. 2003 Founding Peak Records with Tanya, Ajja & Gaspard. 2005 The release of my first compilation, VA Chilling Goddess, with Peak Records. 2006 Playing at Boom Festival for the first time. 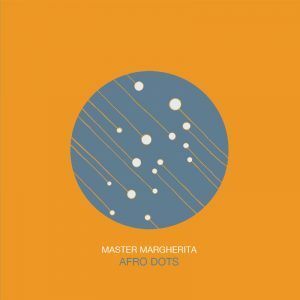 2007 The release of my first solo album ‘Mastura’ on Electrik Dream Records. 2009 The release of my second solo album ‘Hippies with Gadgets’ on Peak Records. 2010 Jam Session at Boom Festival with Robert Rich and Jaques Dudon. 2011 The release of my third solo album ‘The Marginal Rules’ on Blue Hour Sounds. 2013 Playing and having fun at the Fractal Planet camp at Burning Man Festival. We made a nice round of different subjects, it was very interesting to discover more of your reality. Thank you for your time. Cheers ;) good job guys !! !